What makes it special: Pontiac’s Firebird was built from the 1967 to the 2002 model years. Designed as a pony car to compete with the Ford Mustang, it was introduced February 1967, the same model year as GM’s Chevrolet division platform-sharing Camaro. This also coincided with the release of the 1967 Mercury Cougar, Ford’s upscale, platform-sharing version of the Mustang. The first generation Firebird had characteristic Coke bottle styling. 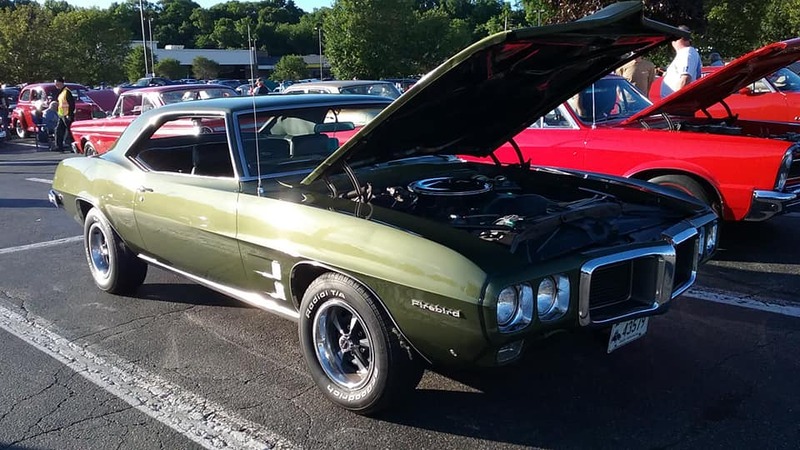 Announcing a Pontiac styling trend, the Firebird’s bumpers were integrated into the design of the front end, giving it a more streamlined look. The Firebird’s rear “slit” taillights were inspired by the 1966–1967 Pontiac GTO. Both a two-door hardtop and a convertible were offered through the 1969 model year. What made it famous: The 1969 model received a major facelift with a new front end design but unlike the GTO, it did not have the Endura bumper. The instrument panel and steering wheel were revised. The big news for ’69 was the fire-breathing Trans Am, but all Firebirds sported new lower-body styling that further disguised their Camaro origins. Notable was a more prominent chrome “bird beak” grille surrounded by trendy body-color Endura plastic à la GTO. Unfortunately, the restyle also added somewhat to weight, as well as 2.3 inches in length and 1.3 inches in width. Engines were basically as before except that the Ram Air II gave way to a 345-bhp 400 Ram Air IV option. Why I would want one: It’s the essence of what a Pony Car should be. Long nose, short trunk with powerful V8 performance. Fun fact: The name “Firebird” was also previously used by GM for the General Motors Firebird 1950’s and early-1960’s concept cars.